So I am planning a trip to Mumbai this winter in time for Holi day with my friends. This means cutting expenses (I have added two new ones this past month) and paring my belongings further and looking at things with a different yet inexperienced eye. 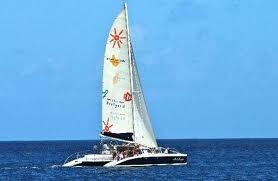 I have a dear friend who lives in Mumbai and we also want to go to Goa to relax on the beaches and do some sailing. My bff is coming along and she is slaving away in her cubicle until then to raise the necessary funds. By slaving away in a cubicle I mean working for peasant wages for the proverbial rich uncle. I am sure he is a lovely man outside the office but inside he is a man bent on success to the point he is blinded by his own folly in chastising employees and family alike. Many divides exist in this Dante’s office scenario. We will release our heroine from her chains and allow her spirit to grow as we travel to India and beyond. I am my own master, and by that I mean I am indentured to my elderly parents as there life supervisors as it were. Meal planner, cook and asset manager. I still have my own art to create and show as well as easing my young adult son further into manhood and adult life. I will asign various tasks to various talented folks to handle things while I am gone. They will do a fine job without me of that I am sure. The beautiful thing here is we are both single and not encumbered by that most delicious of dishes, the human male. We are both huge fans of the species but know that often we must trek alone to learn our life lessons. We are along in different age ranges. She is the age of my daughter and yet as my friend (and their’s) does not come with a family history related to mine…sometimes a good thing. I have a zillion Skymiles and so I will go that route to India and have saved some cash over the summer (when I wasn’t busy spending it) for expenses in India. We both love to sail boats and plan on doing so there as well. 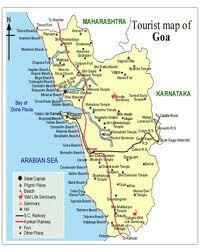 We also hope to rent or buy bicycles to ride around the beach towns but will use taxis in Mumbai for safety reasons! This trip is about new perspectives, new weather, new food, new cultures and all the wonder that is foreign travel. Any random reader stumbling across my cyber-thoughts who has experience in the travels in India would be a welcome response.